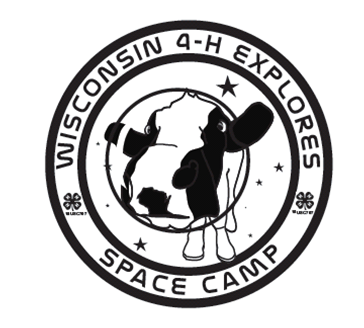 Please note: All youth wishing to receive funding for these experiences must apply through the Ozaukee County 4-H Leaders Association application process. For more information see the information on 4-H Awards and Opportunities Application Packet on the Forms page of the website. Older youth from throughout the East Metro Region come together each winter at a 4-H Winter Leadership camp to work on improving their leadership skills through hands-on, interactive leadership sessions. Youth will gain a better understanding of what it means to be a leader and how to apply being a youth leader in their club, county, and school. Along with leadership learning, youth will have opportunities to participate in a variety of recreational activities that may include sledding/tubing, snowshoeing, crazy games, and other outdoor activities. 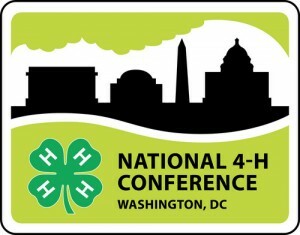 National 4-H Congress is the flagship event of the 4-H program. For over 90 years, youth from the United States and its territories have participated in this youth leadership development conference. The Congress provides youth with a quality educational and cross-cultural experience that exceeds what any state independently provides. It is designed to address the needs and issues of youth while helping to develop capable, competent, and caring citizens. 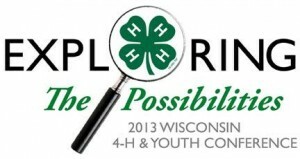 About 75 youth representing University of Wisconsin Extension-4-H Youth Development attend this annual event. Delegates are selected at the county level, usually through an application and interview process. Applicants must be in 10th-12th grade at the time of application; maximum age for attendance is 18 on January 1 of the year of travel. For more information see the National 4-H Congress website or the Wisconsin 4-H website with National 4-H Congress information. Applicants who are selected through the county trip award process will be asked to submit additional application materials required by state/national offices. Citizenship-Washington Focus: A week-long summer program held at the National 4-H Center in Washington D.C. Experience the city of Washington D.C. and see all the sites while learning about American’s heritage, government, and civic responsibilities. You will get to know other 4-H members from Wisconsin and throughout the nation, and have the opportunity to meet your state legislators. Applicants must be in 10th-12th grade at the time of selection in fall-winter; minimum age of 15 during program. Partial sponsorships are available. For more information see: www.4hcwf.org and www.uwex.edu/ces/4h/events/cwf. National 4-H Conference: Only six (6) – eight (8) youth are selected statewide to attend this working conference at the National 4-H Center in Washington D.C. One day is spent on Capitol Hill meeting with legislators and touring. Youth must be in 10th –12th grade with minimum age of 15 and maximum age of 18 as of January 1st of year of travel. Ozaukee County can nominate one members to be considered for this experience. After county approval, youth must complete a state application. For more information see: http://4hconf.4-h.org/ and http://www.uwex.edu/ces/4h/events/natlconf/index.cfm. Space Camp: 4-H members in grades 6-8, with maximum age of 15 at time of travel, may apply for this fun-filled Spring week-end at the U.S. Space and Rocket Center in Huntsville, Alabama. Participants will complete a simulated Space Shuttle mission, experience training simulators, tour the U.S. Space & Rocket Center and learn about becoming an astronaut. For more information on Space Camp, check out: www.spacecamp.com and www.uwex.edu/ces/4h/events/spacecamp. Approximately 600 youth attend this educational event in Madison each summer. Participants take part in educational seminars and assemblies and meet people from across Wisconsin. They are encouraged to take what they learn and share it with other in their home communities. Youth must be in 7-10 grade at the time of selection, be a 4-H member or member of another Extension program, and carry county approval through the time of the time of the award trip. 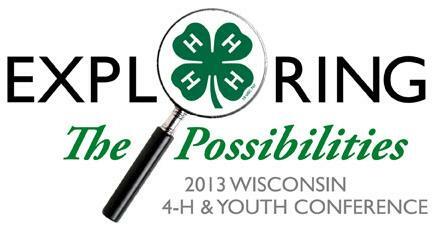 For more information, please see the Wisconsin 4-H Website. Please note: Art Team, Drama Company, Press Team, Showcase Singers and Youth Leader Council member may be 9-13 grades. American Spirit : Youth learn about the steps to independence and freedom on a journey through their American Heritage. 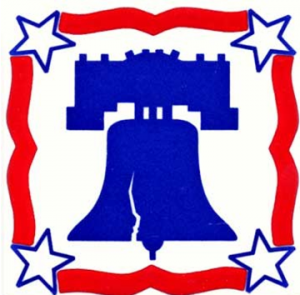 Visit sites of historical importance in Philadelphia, Boston, NYC and Niagara Falls. Youth need to have a sincere interest in learning about our history and heritage. Grade 8th-10th may apply. The approximate cost is $1100.00. Partial sponsorship is available. Youth will need a passport to travel to Canada. Check out the sample itinerary for the American Spirit Trip. All youth wishing to receive funding for these experiences must apply through the Ozaukee County 4-H Leaders Association application process. Partial scholarships are available for the state and national trips by submitting a Cover Letter, Resume and Recommendation by the deadline. Cover Letter and Resume workshops will be held to help youth prepare their application. For more information see the information on 4-H Awards and Opportunities Application Packet on the Forms page of the website. The Wisconsin 4-H Key Award Program recognized a select group of 4-H participants who have demonstrated consistent growth in their 4-H involvement, developed and applied their leadership skills and actively participated in the functions of their 4-H club and community. Please see the 4-H Awards and Opportunities Application Packet on the Forms page of the website for more information. The James W Crowley 4-H Dairy Leadership Award program provides recognition to 10th to 12th grade youth who have excelled in their dairy project. Youth must be currently enrolled in the 4-H Dairy Project and have at least two previous years of membership in it. The James W Crowley Dairy Management and Extension Fund is the sponsor of this award. We are pleased to name the award in honor and memory of James W. Crowley, longtime Extension Dairy Specialist and strong supporter of dairy youth projects. A special engraved medallion will be presented to the outstanding 4-H dairy project member in each county for their accomplishments. These medallions are provided by the Crowley Fund. County Award winners are eligible to complete for 15 state-wide awards. State winners will receive plaques, and the top two youth in the state competition will each receive $500 awards for continuing their dairy education. Ozaukee County 4-H Scholarships are available. Detailed information is located on the 4-H Foundation page of the website. The Ozaukee County Dairy Promotion Committee will offer scholarships to one or more high school seniors who have, or will be enrolling in a formal educational program related to agriculture. Students currently enrolled in a similar program may apply and receive the scholarship for the following school year. The applicant must be an Ozaukee County resident at the time of the application. Your scholarship guidelines must include the application form, two letters of reference, and an essay describing your educational and career plans. The scholarship may be used at any accredited vocational school or university where the applicant will be enrolled in a full-time educational program. Payment of the scholarship will be made by the Committee treasurer following receipt of a cancelled check or fee statement showing the tuition has been paid. Scholarship amount paid will not exceed the tuition amount. The amount of scholarships and number of recipients may change on an annual basis. Ozaukee County Farm Bureau’s Ag in the Class-room committee offers an annual essay contest for fourth and fifth grade students. For more information visited the Ag in the class-room website www.wisagclassroom.org or contact: Lisa Gantner at ljklug83@hotmail.com or Patti Roden at rodenp70@gmail.com. The Ozaukee County Farm Bureau is making available scholarships to students who will be beginning their freshman year in higher or continued education. Plase see the requirements and application process in the Ozaukee Farm Bureau website. For more information, please contact Ozaukee County Farm Bureau Service Center, 7359 Hwy 60, PO Box 797, Cedarburg WI 53012 or 262-377-2772.